Brian Wernham has 30 years’ experience in Agile Programme leadership. 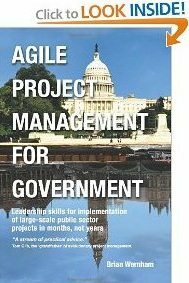 He is accredited by Cabinet Office as a Complex/High Gateway Assessor for Agile Programmes. He lives between London and Cumbria and has delivered large scale programmes at Amazon, Sellafield, the National Audit Office drafting reports for the Public Accounts Committee and has extensive international hands-on agile delivery leadership experience in USA, UK, Canada, Hong Kong, Germany and offshore in Bangalore. By the time that the term ‘agile leadership’ was first coined, Brian had already been successfully leading iterative, adaptive projects for over 10 years on both sides of the Atlantic. He works as a hands-on program director and has real-world implementation expertise together with a comprehensive understanding of the related international research. He has consulted for major strategic international organizations such as Deloitte, PwC, Gartner Group, the National Audit Office in London and Seer Technologies in North Carolina. His comprehensive public sector experience includes the Department for International Development, the World Bank, the United Nations (Geneva), and local government authorities. Brian has been a twice elected Board member of the Association for Project Management for two terms 2014-2018. The APM received its Royal Charter during Brian’s Board Membership. The APM is a not-for-profit with a turnover of over £10m/year. Brian is a Fellow of the APM and also the BCS with an MBA from Henley Management College and is a Chartered Engineer. He has presented at the US Federal DigitalGov University and is a Director of a large consulting organisation based in London. He is an offshore Yachtmaster and keen off-piste skier, where adaptive planning approaches are essential life-saving skills. So….not just a ukulele player then!